Our rooms are available for a wide range of activities from 9am to 11.30pm. 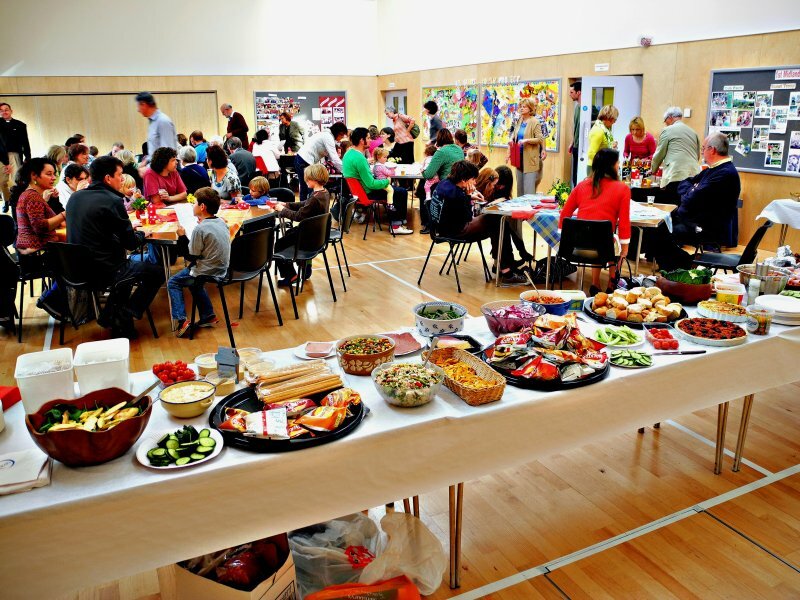 We are able to offer catering, an alcohol licence and/or a public entertainment licence. The Village Square is also available for hire. 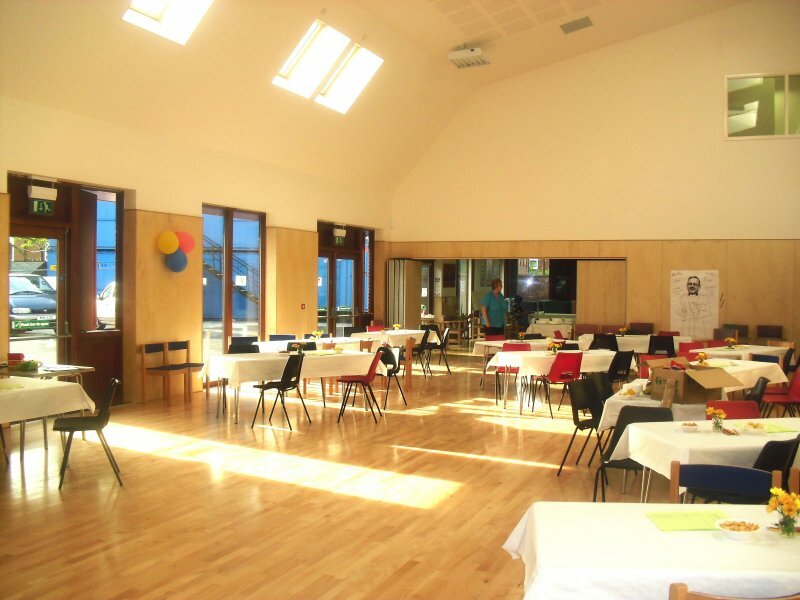 The Main Hall is a multipurpose sports hall and function room which is light and airy, 150 sq m and accommodates up to 200 people. 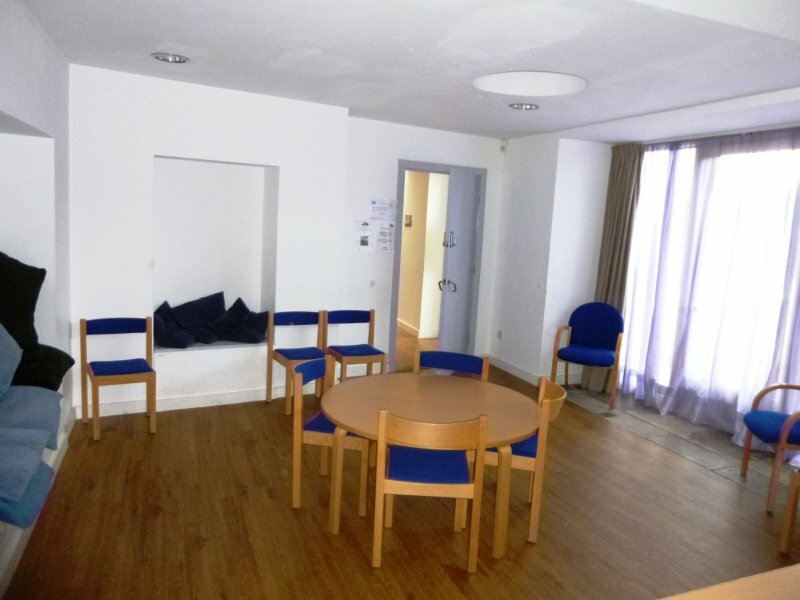 It includes a small kitchenette suitable for providing light refreshments. The Marjorie Allen Room has two beautiful stained glass windows and accommodates up to 25 people. 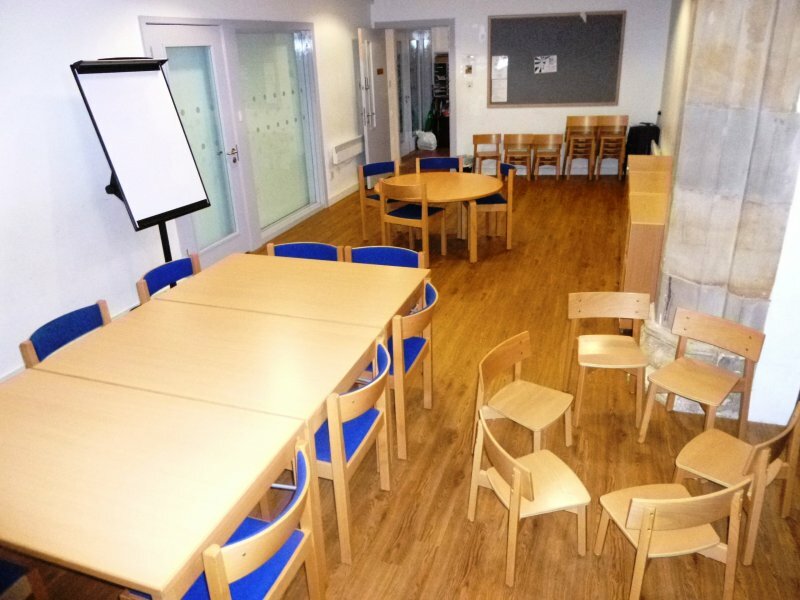 The South Vestry can accommodate up to 20 people and is ideal for meetings or small group activities. The Chapel Room has a unique decorative panel and accommodates up to 20 people. 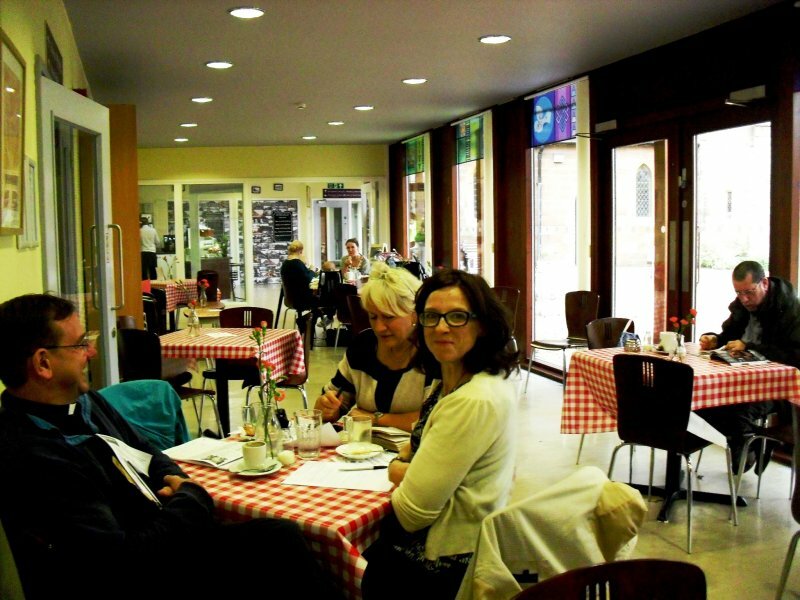 The Welcome Space is a comfortable informal area which accommodates up to 40 people, it is available for promotional events during the day and for bookings after 6pm. Other space may be available, please ask.